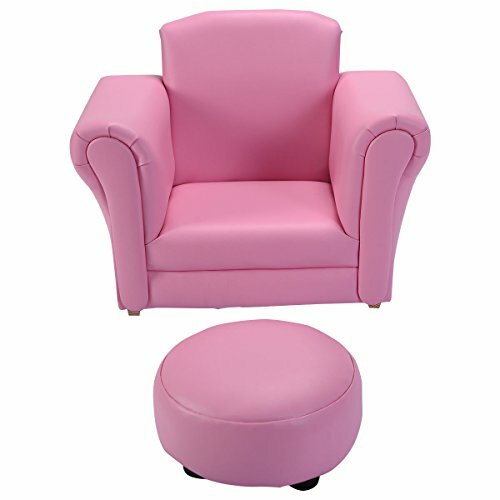 Pink wood frame+PU Kid Armchair With Ebook by MRT SUPPLY at Indsight. MPN: unknown. Hurry! Limited time offer. Offer valid only while supplies last. Color: pink - Material: wood frame+ 30D new sponge+PU - Sponge thickness: 1" - Sofa dimension: 21"x15"x16" (LxWxD) - Seat dimension: 11.7"x11.7"x7 " (WxDxH) - Footstool dimension: 6.6"x6.6"x4.7 " (LxWxD) "